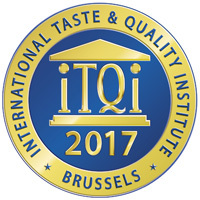 The International Taste & Quality Institute, based in Brussels is the world’s leading organisation dedicated to testing and promoting superior food and drink products. Our newly launched Naturel Organic Balsamic Vinegar and Extra Virgin Coconut Oil were both awarded with iTQi 2 Golden Stars and our Naturel Extra Virgin Olive Oil Spray, with 1 Golden Star. This is a testament of our products quality and superior taste.